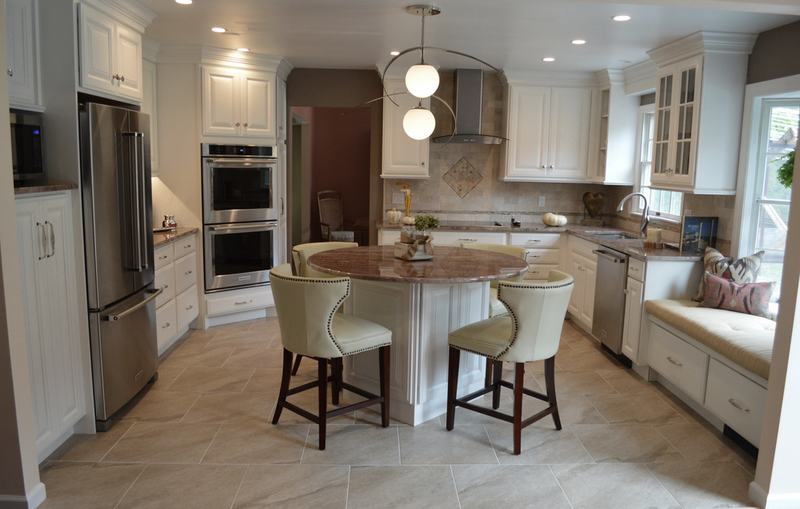 This kitchen is wonderfully classic with it's gorgeous brick arch surrounding the stove and vent. The gray and white marble countertop, unique lighting fixture, and wine fridge compliment it's slightly rustic European feel, making this kitchen truly breathtaking! 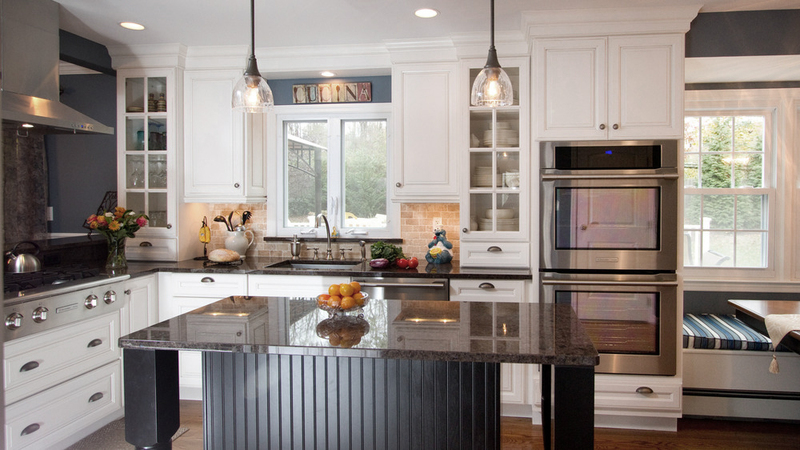 Plenty of counter space makes cooking a breeze, and the full wall of windows give the space plenty of natural light. The cabinetry is simple and elegant, allowing the natural beauty of the space to shine through.